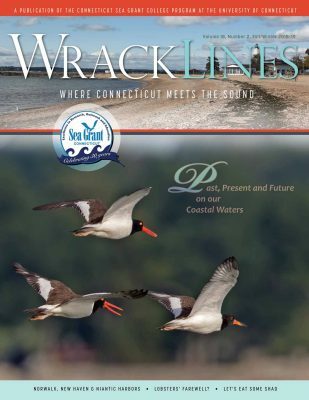 The official magazine of the Connecticut Sea Grant College Program. Biannual illustrated magazine with feature articles and brief items on coastal and marine topics with an emphasis on Long Island Sound and related activities at the University of Connecticut and beyond. 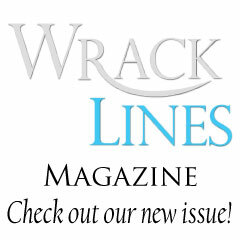 To get email notification when the new issue of Wrack Lines is available electronically, send your email address here. To receive a free print copy, send your address here. 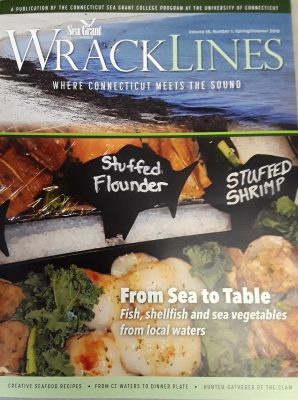 See archived issues of Wrack Lines. Wrack Lines articles may be downloaded and printed for educational purposes, with source acknowledgement, but please drop us a note! We want to know how, why and where our publications are used. Thank you! 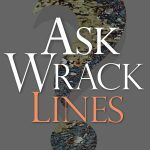 Wrack Lines is a free magazine, available in both print and online. We appreciate donations from our readers to help us continue producing the printed version, which is distributed to libraries and citizens. Please send your donation via check or money order to Connecticut Sea Grant, 1080 Shennecossett Road, Groton CT 06340-6048. Thanks!